But How can you recycle those memories of “going through process of shooting them, then find best E-6 processing in town ( It has to be standard Supply at Fort) , then get unmounted stripes, spending hours on light box with magnifying eye piece, select only those which you think will be used by some publishing or for some presentations or just to show off around. It was always difficult decision which were to be kept and which were to be thrown off, but it was very essential, thats how I disciplined myself . It was forced by economics and not because of any other compulsion. Now you will ask me , what economics has to do with it ? Let me explain. Fuji Velvia used to cost Rs. 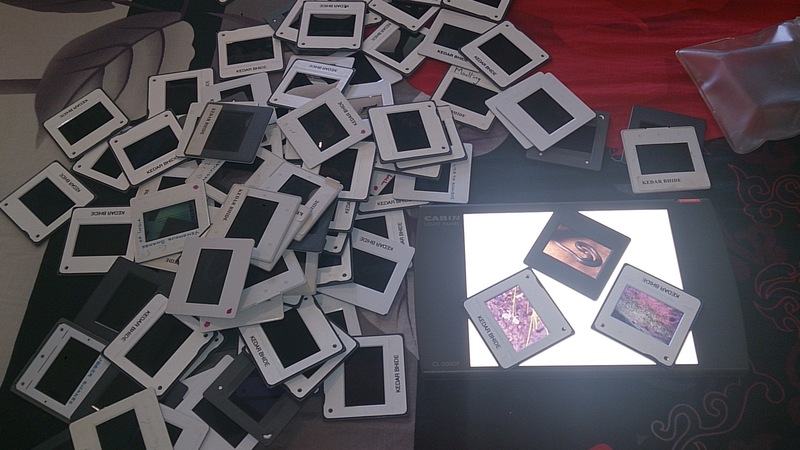 400/450 and Provia used to cost Rs. 300/350, Then E-6 processing was Rs. 110-150 over the years. Then a good imported plastic mount around Rs. 2-3, a good imported plastic sleeve for storing 20 mounted slides Rs. 30-40. So overall it used to be, Rs. 20+ per slide. So throwing slides means, you are throwing Rs. 20 and then all that money spent in travelling to places and shooting them. So when I was little extreme in my decisions of throwing slightly good -not bad slide in dust bean it used to help me on field. If I am going to throw the slide in dustbin because its not perfect , should I click it when I knew, conditions were not perfect, subject was not in position, light was not optimum, This was a question I used to ask myself and then used to enjoy the moment other than just shooting everything till you exhaust your stock of roles. Today Digital media has made your life easy in field, but not off-field, its same story still, instead of plastic mounts you have GBs, instead of plastic sleeves, you have TBs external drives. Instead of storing at humidity free environment , you worry about disk failures, theft and loosing your data. So post field actually it has become difficult that before but on field, I have to fully agree that , we can concentrate on our creativity than worrying about resources. Though I started this clean up drive to free some space in storage, its going to be very difficult to throw those memories away just like that, its going to heart troubling moment for next some months as I go through process of elimination to manage my slides.